1920s to 40s dance music orchestra for hire. 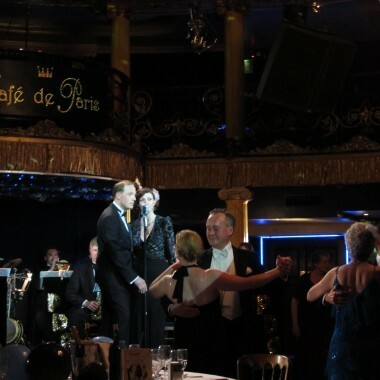 The Piccadilly Dance Orchestra plays dance music of the 1920s-40s, and are regulars for ballroom and tea dances at the Savoy, Queen Elizabeth Hall and Hyde Park Hilton. 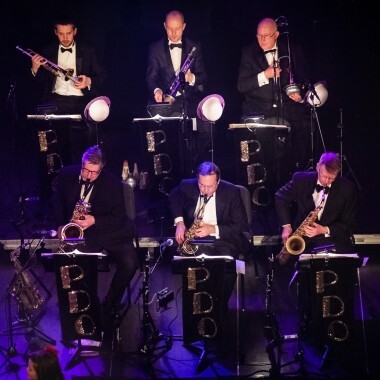 The Piccadilly Dance Orchestra consists of London’s top musicians and singers, smartly dressed and enthusiastically recreating the glorious popular music of the 1920s, 30s and 40s with style and panache. You’ll hear the songs of Gershwin, Noel Coward and Cole Porter played as they themselves might have heard them. With numerous television and radio appearances under their belt (including festivals, theatre concerts, regular appearances at London’s Queen Elizabeth Hall and the first ever Proms In The Park), nobody performs this music better! 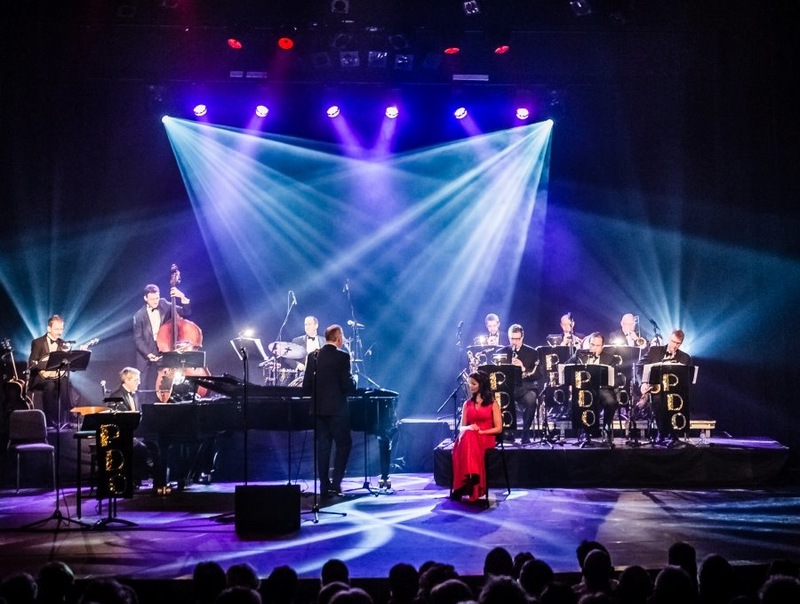 Top celebrities can join The Piccadilly Dance Orchestra for special concert performances (subject to availability). World renowned Lindy hop dancer Simon Selmon and critically acclaimed tap dancer Rusty Frank form a delightful and exciting team, bringing to life the unique energy and fun of 1920s to 40s dances, with fabulous costumes to match. Add The Piccadilly Dance Orchestra and the result is…magic! Simon and Rusty can be joined by up to six more dancers to form the Sugar Foot Stompers. The PDO has also performed with the Jiving Lindy Hoppers. Singer, pianist, composer and musical director Michael Law is known to be one of the leading specialists in the popular music of the ‘Art Deco’ era. Michael ensures that the orchestra plays from authentic scores and carefully chooses his musicians and singers to perform the music to a superb standard. 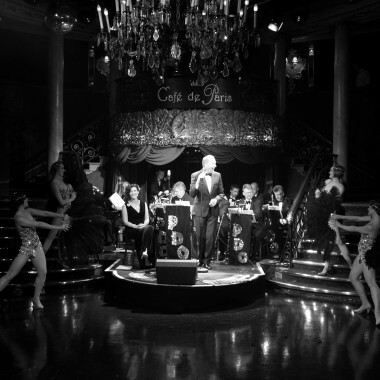 Michael has performed at all of London’s top venues including The Ritz, Claridges, The Savoy, the South Bank Centre and the Barbican Centre. His solo performances at London’s Pizza on the Park, The Purcell Room and on the QE2 have been highly acclaimed. He has also starred in ‘Noel and Gertie’ at the special invitation of Sheridan Morley. The PDO currently have six concert programmes: ‘Hollywood Party’, ‘Stompin’ at the Savoy’, ‘Chasing The Blues Away’, ‘It’s De-Lovely’ (based around Cole Porter’s music) and ‘A Marvellous Party’ (based around Noel Coward) and can devise programmes to fit in with many themes, especially of the 1920s/30s/40s era. Their newest is ‘You Must remember This…’a programme of glorious songs by Cole Porter, George Gershwin, Irving Berlin – and jazz and swing hits… to celebrate their 21st year, Michael Law’s Piccadilly Dance Orchestra chase the blues away with a programme of uplifting songs and hilarious stories from the last great depression! Join The Piccadilly Dance Orchestra for an unashamed wallow in pure nostalgia for the lost, magical world of Broadway and Hollywood music from between the wars.